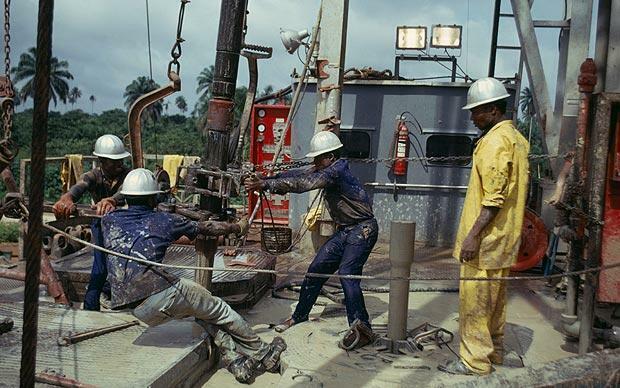 Group Managing Director of the Nigeria National Petroleum Corporation, (NNPC), Dr. Maikanti Baru, has said oil exploration in the North would continue until the commodity is found. Native Reporters has learnt. Baru said this would enable the NNPC do massive appraisal of the discovery of gas reserves, made in 1999 in the region. The NNPC GMD, who was in Kaduna for the 40th edition of the Kaduna International Trade Fair, said the Corporation is working on the Kolmani River 2; with optimism and high expectation. He said President Muhammadu Buhari had personally urged the Corporation to go back to exploration on the Kolmani River 2 Well, and that drilling has been going on smoothly. He said that as at Wednesday morning, the Corporation has dug 10,075 feet deep well with a target to reach 14,270 feet exploration. “The main purpose of this well is to start some massive appraisal of the discovery that was made way back in 1999 of some gas reserves in Kolmani River 1 and, so far, the drilling has been going on smoothly to enable exploration. “We will do the needful. If we need to probe any particular section, we will take our time to do it. “Our target date is to see that by the end of May, we complete exploration on that particular well and move to Kolmani River III, which site is almost ready for the rigs to move there and from there, we move to other locations,” he said. Earlier, the GMD said that provides an opportunity for stakeholders and long term exhibitors like NNPC to take stock of their participation through the years, with a view to consolidating on areas of strength, while working on avenues for improvements. Dr. Baru said the loss of agriculture to crude oil exploitation has slow local industries that feed on agricultural produce as feedstock, prominent among which were the textiles industry, as well as tanneries in the North. Meanwhile, Baru has said there were no plans to increase the price of petroleum products for now. He said even though there is an agency saddled with the responsibility of fixing petrol price, President Muhammadu Buhari has said there would be no increase in the pump price of petroleum products for now. In the last four decades, the NNPC has invested about $3billion in crude oil exploration activities in northern Nigeria. However, the investment has failed to yield any positive dividend, as the state-owned oil firm is yet to strike hydrocarbons in such commercial quantity for exploitation activities to commence. While some Nigerians see the continuous investments in the search for crude oil deposits in the north as a waste, those in favour of the search remain optimistic.